It might be budget-priced but it’s not another Comcept disaster. 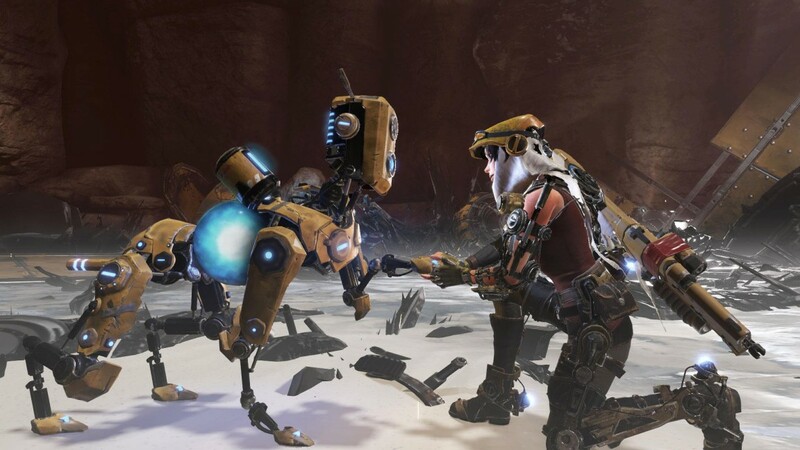 When it was first announced back at E3 2015 ReCore was something of a dream project and a plesant surprise: Keiji Inafune is a recognizable name, and though individual names from the team aren’t as well known, “from the makers of Metroid Prime” is a bloody compelling argument. By the time E3 2016 rolls around, I’m still curious but for much more cautious reasons. Inafune hasn’t had the greatest year what with Mighty No. 9’s clearly troubled development and Microsoft has now announced ReCore as a budget game at $39.99/£29.99. That price could mean anything, from a bargain to an indication of the size of the game, right through to a “we don’t think this is very good” kiss of death from Microsoft’s sales team. I was curious to find out which. I suppose the first thing to cover of ReCore is its origins. Just how much does it resemble Metroid Prime and Mega Man, the most famous projects of its creators? The answer is a fair amount, though perhaps not as much as Microsoft’s marketing for the game might want to push. 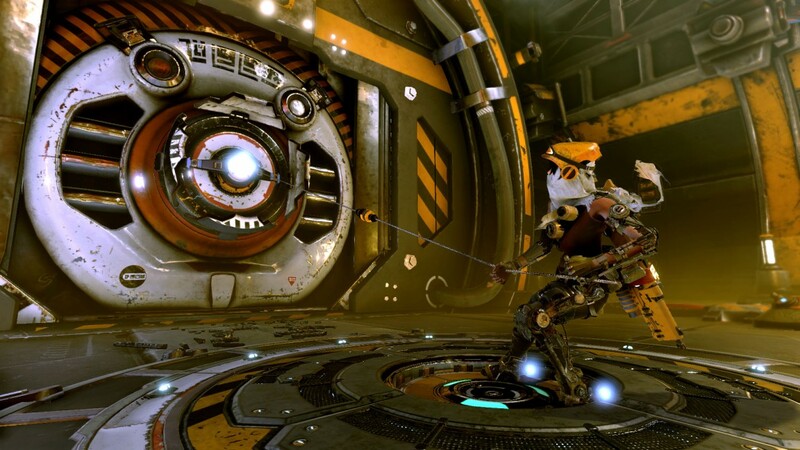 There’s definitely something very Mega Man in ReCore’s robot mechanic, which involves removing the ‘core’ from your robotic buddies and putting it into a different one to change who’s assisting you. Different robots seem like they’ll be useful in different scenarios, ranging from a mechanical dog who can sniff out things to a hulking mechanical gorilla who, obviously, is good at lifting and smashing things up. Each has a special attack that charges up and can be used to save you in combat. In this there’s definitely a whiff of Mega Man’s boss weapon scavenging and changing depending on the situation. There’s also a dash that’s a little reminiscent of the Mega Man X games, but these similarities aren’t as tight as some of the promotional material and talking points around the game seem to suggest. My time with the game was mostly focused on combat. The E3 2016 trailer shocked some people by featuring shooting, but it’s not free-aim shooting. The game is lock-on based (managed with the pull of a trigger), in order to allow you to focus on other things. The game likes to throw a lot of enemies at you, and there’s a lot to manage; your movement, your gun, and your robot buddy who can be ordered to attack with a single button press. A little of this feels like a third-person Metroid Prime in that sense. You lock onto an enemy and kite around them just as a 3D-bound Samus did back in 2002. It still feels good. 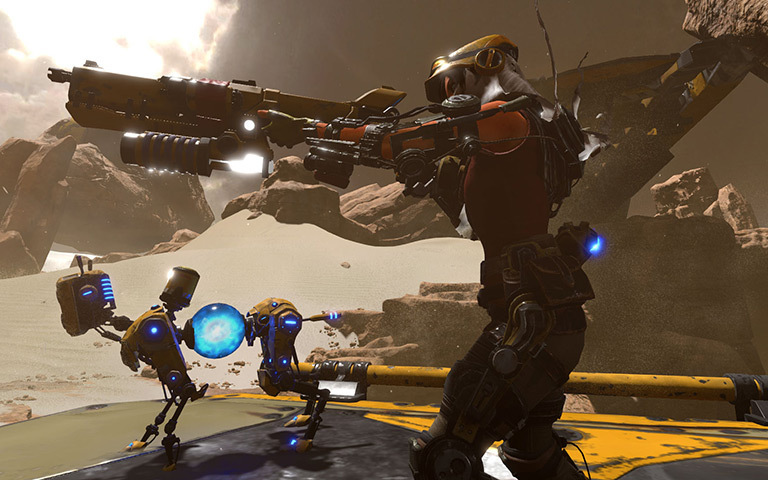 While the robot buddies are cool and of course where the game found its name, far more interesting was ReCore’s dedication to a colour-coded weapon system. There’s four types of ammo in the game each represented by a different colour and handily the baddies protagonist Joule faces all come in the same four colours. You’ll want to switch to the correct ammo for the correct type of enemy, and it’s here ReCore gets its combat flow. You’re dashing, dodging, locking on, shooting, switching cores, switching ammo – it all seems to become satisfyingly hectic fairly quickly. Props should also be given for the inclusion of options here for colourblind players, something not every developer would’ve thought of. Some enemies complicate this system with invulnerabilities that need to be dealt with or the ability to switch colour and thus weakness on the fly, and that all seems to be recipe for a solid combat system. There’s lineage from both 3D Metroid and Mega Man here, but it is also still plainly its own thing. On top of all this is something I didn’t really get to test: exploration and platforming, something that could seriously make or break the game. Metroid Prime has some of the better 3D platforming around (and arguably the best pre-Mirror’s Edge first person implementation), so there’s definitely expertise there, but something about the way movement feels in this game has me a touch worried for how that stuff might play out in the final release. ReCore might well be a smaller game as indicated by its price point, but its demo was still too short for me. It’s hard to pinpoint if the combat will get repetitive or how the character movement will play into the other half of the game. But what I saw convinced me of one thing: this isn’t another Comcept disaster. There’s a fun core (ha, ha, ha) to this title’s mechanics, so hopefully the framework built around it in the full game lives up to that. ReCore is due for release September 13 on Xbox One and PC.